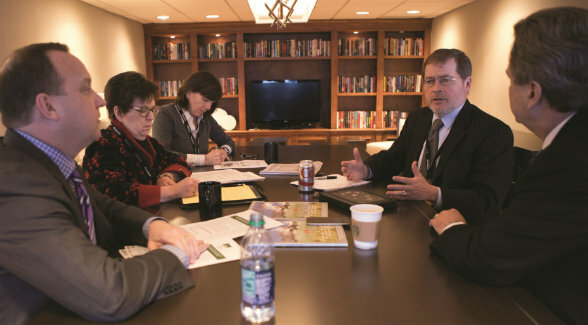 Grover Norquist explains the nuances of tax reform to Land Report Editor Eric O’Keefe and 1031 specialists David Brown, Suzanne Baker, and Mary Cunningham at the 2017 Land Investment Expo in Des Moines. Current discussions on tax reform can be traced back to the House Republican Blueprint, which was released in 2016 by the all-important House Committee on Ways and Means. “We now have the stars aligned with a Republican House, Republican Senate, and a vehicle, reconciliation, which only requires 50 Republican votes plus the Vice President,” Norquist says. Although tax reform may be a certainty, many of the particulars of legislation are still being hammered out. Given his status as a thought leader in tax policy, Norquist has heard from large numbers of stakeholders. Many insist that Section 1031 like-kind exchanges must stay in the Internal Revenue Code. Norquist agrees. Without Section 1031 as a vehicle to defer capital gains taxes, landowners will be especially disadvantaged. To make matters worse, in addition to the possible elimination of the Section 1031 exchange, the House Republican Blueprint imposes a double whammy on landowners with its call to eliminate the net interest expense deduction. In return, the Blueprint proposes an allowance of immediate expensing for real property improvements (but not land). Many Blueprint proponents assume that lower rates and immediate expensing make up for the elimination of Section 1031 and interest deductibility. This assumption is a mistaken one; it overlooks the tremendous value of the land. 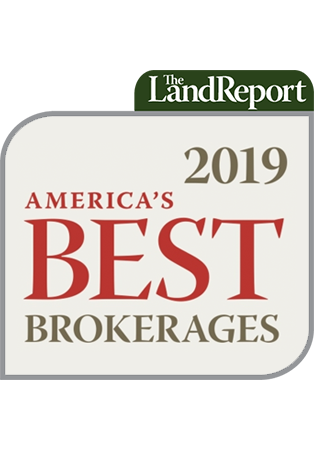 According to commercial REALTOR surveys, land accounts for 30 percent of the value of improved real property and can account for 80 to 100 percent of agricultural and recreational land. If landowners have no tax deferral vehicle, the lock-in effect will be dramatic. Instead of improving or upgrading farming and ranching operations, or streamlining existing holdings by consolidating tracts, many landowners will simply elect not to sell. The whole point of tax reform is to encourage growth, which is precisely what Section 1031 accomplishes. A 2015 Ernst & Young macroeconomic study concluded that a repeal of Section 1031 would result in a contraction of GDP equal to $8–$13 billion per year. A diverse coalition of 91 associations have called on Congress to retain Section 1031. That group includes nearly every REALTOR-affiliated group, Farm Bureau and associated farm groups, conservation groups, manufacturers, and the US Chamber of Commerce. To express your support for the retention of Section 1031, please reach out to your elected representatives. Alternatively, you can email a message to them directly by visiting www.1031taxreform.com/take-action.